AdSense is great, and if you want to learn more about it read on. But you should know, I actually make more money with affiliate marketing than AdSense. click here to sign up for my 5-star course. AdSense is one of the most convenient ways to make additional money from your website. All you do is copy some code into your site to display the ads, and you earn every time someone clicks. You may also earn from impressions in some cases. All this is derived from a program they call AdWords (pay per click marketing). You often see these ads displayed above the free/organic results and along the right side of the page on Google.com. AdSense is your revenue share from AdWords ads. When someone clicks, you earn roughly 68% of the click and Google gets the rest. AdSense is an auction-based system that allows advertisers to compete for those spots. Whomever has the highest bid and most "quality" ad, gets the top spot and so forth. It's a great program that can help drive additional income to your website, and it's really best for websites that are mainly content driven. The more content you have, the more Google can get a sense for what your site is about and better match the ads to your website. The commission you receive per click depends on how much advertisers are paying Google for the particular ad. You will earn a share of that amount. I've heard of earnings anywhere from 2 cents to $15 per click. It's important to note that I cannot estimate how much you will earn based on your traffic. People always want to know what the average amount is per click. The more competitive the search term, the more the advertisers pay and the more you earn as a publisher. I have been receiving monthly checks from Google since 2003. My earnings are usually in the mid 4-figures. My sites have been around for a long time and I have a great deal of traffic so that's a big reason why I earn 4 digits per month. 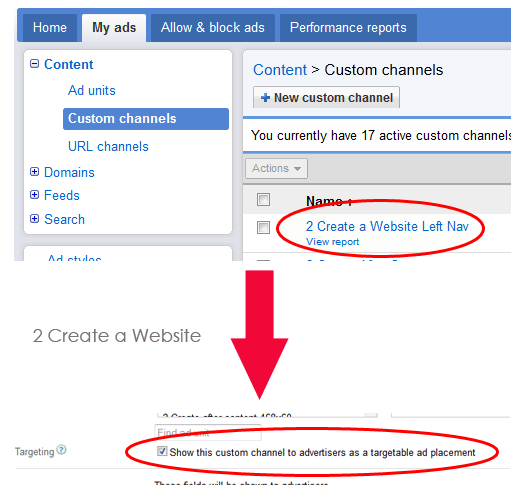 AdSense changed their terms and you can no longer show your earnings unless you show the finalized report. But just to be safe (they've been disabling a lot of accounts lately and I don't want to take that chance), I've blurred out my report. 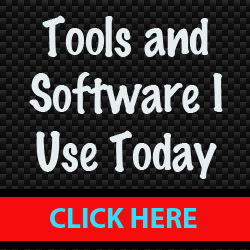 I promote my sites on social media, create YouTube videos, get traffic from Google, etc. Making a lot of money with AdSense is all about numbers. The more traffic you have, the greater the earning potential. My checks weren't always this large. I think my first month's earnings in 2003 totaled less than $20. However, as my traffic increased, so did my checks. I cannot emphasize this enough. AdSense is NOT an overnight get-rich-quick opportunity. Even though this may look easy, please don't underestimate the amount of work I've put into my sites over the years. You should also DIVERSIFY your income and earn money in other ways like I do with affiliate marketing, etc. Why? Because AdSense income is not stable. It fluctuates greatly from month to month. Get a domain (yoursite.com) and then sign up for a web host and build your pages. 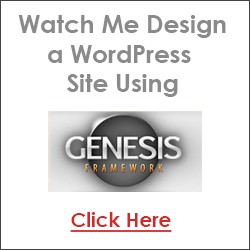 I highly recommend using WordPress to create your site because you just pick a theme and your site is up and running. If you want to learn more about WordPress I have a video here. Learn more about traffic building here. Test ad sizes, images vs. text, play around with colors, you name it. I personally like to have my ads match the background of my site so they blend more. Some people prefer to make their ads stand out by using bold/contrasting colors, but that never worked well for me. I think it's because they look so much like ads. Read a blog post I wrote where my readers and I discuss our best performing ad units/sizes. Channels allow you to see what units are working best. So if you are adding an AdSense unit to your header, you should create a channel called (name it Header, for example) so you can track its performance in your reports. I think it's important to maximize your click through rate (CTR) so you can attract more advertisers (just my opinion based on logic.) So I remove channels/units that perform significantly lower than others. Advertisers want to advertise on sites that will give them the most clicks, right? So it makes sense to optimize your account's CTR as much as you can. So how do you create channels? 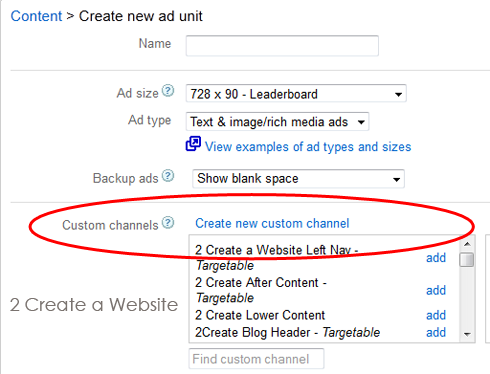 When you target your custom channel units, you make them available to Placement advertisers who may want to advertise on your site directly. These advertisers pay more so you earn more per click. It's super easy to set this up. I know times are tough economically and a lot of you don't want to pay for a website. But the facts don't lie. Successful website owners invest money. Period. I have yet to open up a magazine and see a successful site featured hosted on Blogger.com or another free host. Never. And I've been out here since 1998. If you want the search engines and people to take your site seriously, you have to own your site. And if you don't do this, I question your dedication. Even if it means you have to wait and save your money for 6 months to buy a domain and hosting. I'd rather you do that then take shortcuts with free hosting. People often ask me about the best theme or design for AdSense. I use the Magazine Pro WordPress theme on my hair site. It has a header widget built in that is large enough to fit the 728x90 unit so adding the banner was a breeze. Changing to this theme more than doubled the earnings for that site because I was able to add the large, header unit. Larger units typically earn you more, especially when they have good, visible placement. 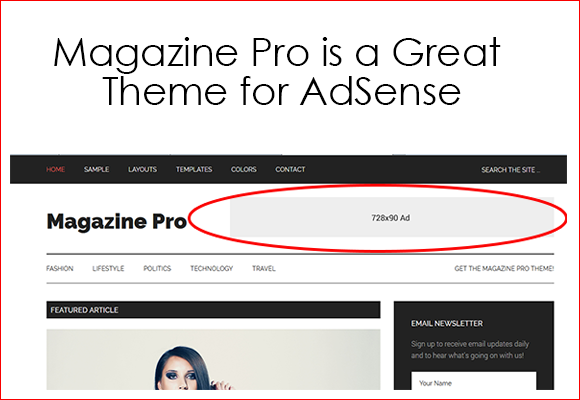 Read more about how to find a great theme for AdSense. People often ask me why their earnings are so low and there are many reasons for that. So the niche you are in plays a big role in how much you can make. That's why it's hard to estimate how much anyone can earn with AdSense. There are just too many different variables. People often ask me why they can't get approved for AdSense. It's tough to answer because I do not work for Google, so I can only guess. Many times it's because there are not enough pages on your website. I tell people to shoot for at least 20-30 pages at the very minimum, and make sure your content is very niche -- centered around ONE topic. So if they sense A-N-Y-T-H-I-N-G out of the ordinary or feel you are getting traffic from places that may may produce bot/automated/fraudulent clicks, they will disable your account to protect their advertiser's money. They used to disable when they confirmed fraudulent clicks, but now they will disable even if they see potential risk with your account -- whatever that means. Then they refund the advertiser their money -- which is why you don't receive a check for money earned if you are disabled. Unfortunately no one really knows exactly what the threshold is for determining your account has "potential fradulent clicks." And to make things worse, their communication when you are disabled is automated and there are usually no warnings -- which is unfortunate and frustrating for people who have done nothing wrong. There's also no way to reach out for definitive answers and appeals usually fail. Learn more about click bombing and fraudulent clicking. Read more about what to do if your account has been disabled. I know that's a tough pill to swallow and I can imagine it does feel horrible to get your account disabled, but when we all "accepted" the terms and conditions upon signing up, that is basically what we were agreeing to. Now I do believe that the system has kinks, and I believe some innocent people are disabled, but that's why you cannot put all your income eggs in one basket. Google has to protect their advertiser's money. No one is safe from getting banned... not even me... and it's just one of those things that comes with the territory if you decide to join the AdSense program. Google will always safeguard their advertisers because they are their customers -- not us. And if they feel their money is being wasted on fraudulent clicks (even if it's only potential), they won't stand for it. Back in 2012, Google began disabling a lot of accounts. I know because I got tons of emails of frustrated people. It was kind of odd how it all seemed to happen at once. AdSense is great, but it doesn't provide stable income or security like affiliate marketing or selling your own products. I am often asked why AdSense earnings change so often and drastically. Read why there are so many highs and lows with your earnings. Want to learn about more ways to boost your income with AdSense? Listen to my podcast about Google AdSense here! I'd love to chat with you in my forum where we have tons of discussions about AdSense going on. Register and start chatting with us today! One of the keys to succeeding with AdSense is to build a niche website that targets a narrowly defined topic. This is the way I've been profiting with AdSense since 2003. I can show you how to setup a niche website and I dedicate an entire chapter to AdSense and earning strategies in my book, Niche Website Success. And if you want to also earn money with affiliate marketing, take my hype-free and extremely educational course. Read all my blog posts about Google AdSense here.